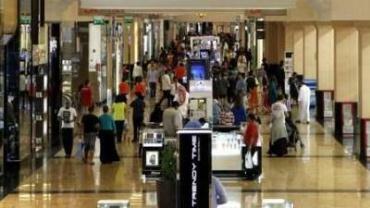 The UAE Cabinet's decision to award 10-year visas to professionals and 100 per cent foreign ownership in companies will result in increased consumer spending due to people staying here for a longer period in addition to the emirate attracting global talent in the banking and finance industry, market executives and analysts said. Essa Kazim, governor of Dubai International Financial Centre (DIFC) and chairman of DIFC Authority, said this decision marks a new phase in the development of the UAE's success story. Over the past decades, the government has established a strong foundation to catalyse the local economy and built state-of-the-art infrastructure to attract global investors. This has positioned the UAE as an international investment hub and an ideal destination for companies looking to grow. "This new law will contribute to increasing transparency, quality of service and the adoption of international best practices, while boosting the UAE's competitiveness on the global stage and cementing its role in shaping the future of investment in the region. Together, these factors will have a direct positive impact on the business community in the UAE, including government and semi-government entities, as well as local companies and international corporations," Kazi said. Monica Malik, chief economist at Abu Dhabi Commercial Bank, said longer visas means more certainty for expats and that could feed into higher domestic spending and reduced remittances as well as greater propensity to buy property in the UAE. She pointed out that credit demand has been remaining weak, reflecting the challenges facing the economy. But such policies will support investment, bring wider economic growth and would have a positive impact on loan demand. TA UAE central bank survey showed that the demand for personal loans decreased in the latest quarter and is expected to remain weak in the current quarter. However, demand for business loans rose moderately across the board in the January-March quarter, with the exception of the emirate of Abu Dhabi. Central Bank data for Q1 2018 showed that gross credit grew by around 0.5 per cent month on month in the first quarter of 2018 as compared to a marginal 0.1 per cent growth in the same quarter last year. Malik said the new regulations, when implemented, would result in more consumer spending and savings in the country as people will be staying for a longer period. "Saving will be beneficial for expats while increased domestic spending will be good for the financial industry," she added. Promoth Manghat, CEO, UAE Exchange, said the 10-year visa focuses on researchers and IT professionals because the next wave of growth would come from these sectors. "We know the next wave of growth is not 1 or 2 years but 5 to 10 years," he added. Naveen Sharma, chairman, Institute of Chartered Accountants of India, Dubai chapter, said the 10-year visa is a step in the right direction as it would help the UAE economy. "Two years is a short period of time for a visa. If someone wants to make heavy investments, he wants medium to long-term visas to be able to take a longer view. In addition, this decision will generate new jobs and stabilise businesses too," he added. He said one of the UAE's biggest advantages is that it is tax-free and hedge funds and insurance companies would set up base here because talent will stay here for a longer period. Mahmood Bangara, vice-chairman, ICAI (Dubai chapter), said the banking and finance sector would substantially benefit from 100 per cent foreign ownership of companies. "One hundred per cent foreign ownership of companies means that more companies will be floated and they need more capital, hence, more business for banks." Bangara hoped that when the final list comes out, the profession of chartered accountants would also be eligible for the 10-year visa. Hamid Taylor, general manager of Abu Dhabi-listed Finance House, said the decision on granting 10-year residence visa to select categories of expatriates is an encouraging initiative to retain and attract high-caliber professionals and investors. This will give the necessary impetus to the local economy, particularly the real estate sector.